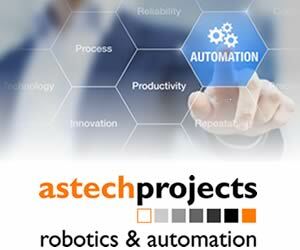 NextShift Robotics, a provider of autonomous mobile robot solutions for automated order fulfilment and warehouse materials management, has been granted a second patent, US10214354B2, “Method and System for Automated Transport of Items”. The patent pertains to operating a robotic picking system in which the containers to be picked are positioned on the shelves and within picking stations. The patent covers the ability of the robot to raise itself vertically to access shelving of different heights in order to pick the appropriate container from a range of shelf heights and storage system configurations. The robot then autonomously transports the container throughout the facility and delivers it to a human or robotic pick/pack station. Thus, this patent covers an eventual unattended worker-free picking and packing operations. This is NextShift’s second patent, following their original patent US9694977B2, “Storage Material Handling System”. 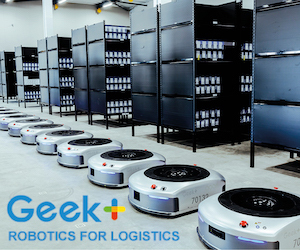 It covers an advanced materials handling workflow in which autonomous mobile robots collaborate with warehouse workers but perform independently—i.e. without direct worker interaction—in order to enable a more efficient picking process involving fixed storage locations distributed in a storage space. After items have been placed into collection totes within the pick zones the mobile robots autonomously load, transport, and unload the totes at destinations around the facility. The new patent covers a key requirement for companies that need to retrieve containers from varying height locations in the warehouse and deliver them to pick/pack stations without assistance from human workers. “We are pleased to add to our portfolio of important intellectual property in the mobile robotic material handling space,” said Mary Ellen Sparrow, CEO and Founder of NextShift. “The patented ability to place and retrieve containers from variable shelf heights is very important in a Lean Manufacturing environment where standardised containers are delivered to point of use in work cells. Both of NextShift’s patents are of primary importance in increasing fulfillment flexibility and throughput at lower cost, a challenge facing many retail, 3PL, and manufacturing companies, but especially emerging eCommerce businesses. NextShift’s robot-based supply chain workflow dramatically increases order handling velocity, efficiency and quality using a right-sized fleet of agile, intelligent robots to take over transporting inventory items from storage to the pick face and from picking zones to fulfillment stations. The collaborative approach frees workers from time-consuming trips back and forth through the warehouse and allows them to focus on higher-value job activities.